Your local team at plumber Tallaght are on call 24/7-365 to assist you with any plumbing emergencies you may have. Call us any time of the day or night and you will get through to one of our senior master plumbers. Initially we will try to help you with the issue over the phone. If we can’t help you solve the problem and you need us we will be there. We can get a member of the team at your door in less than an hour. We do not charge a call out fee. 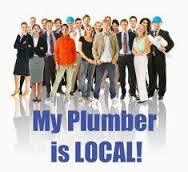 About your local plumbing team at plumber Tallaght. We have been established for over 30 years and have some senior staff with over 25 years experience in the private and commercial plumbing sector. Every member of our staff are highly skilled and fully qualified plumbers. They are also all R.G.I. registered. This means they can tackle all plumbing work quickly, efficiently and to the highest of standards. If you are looking for a company with a great industry reputation our plumbers in Tallaght fit the bill. We take enormous pride in our workmanship and the companies reputation. We are fully insured and all our work is backed by the “plumber Tallaght guarantee”. We know we are one of the highest quality plumbing & heating companies in Dublin. A large part of our success over the years has been our up front pricing policy. We are happy to give professional no obligation quotes on all work. We do this because we don’t think our prices will be beaten. Once we give a quote we stick to it. You may find some companies shock you when the bill arrives with hidden fees and charges. Our team we get parts if needed in our time not yours. We won’t charge for for travel time, parking fees or any other sneaky charges. This is why our customers return year after year. To us whether it’s a blocked drain, leaking tap or a replacement boiler all of our work is completed to the highest standard. No job is too big or too small for us to handle. We can supply all of the following plumbing services. • 24 hour emergency Tallaght Plumber call out service. • All makes of boilers repaired and installed. • We provide R.G.I. engineers for your annual oil and gas boiler servicing. • Central heating repairs and full installation. Including tanks, radiators and pumps as required. • Plumbing in of all gas appliances. • We fit new showers, baths, toilets and sinks. • Bathroom renovations. Please check our works and reviews. • We unblock all drains. We have C.C.T.V. Jet flushing, plumbers snakes and drain rods. We can clear it. • Water and heating pumps installed and repaired. We pride ourselves on operating our business as transparently as possible. We always offer our clients the best possible prices and plumbing services available. This open and honest approach has been one of the foundations upon which our excellent reputation has been built over the years that we have been trading in Dublin. For any of the above services or for quotes and unbiased professional advice, call us. Whenever you need a local Plumber in Tallaght one of our master plumbers will happily take your inquiry. Call today on 01-2844921.